Lotus is a famous high performance sports car brand known for its pioneering approach to minimalist design. Indeed, when evaluating Lotus car shipping companies, we suggest working with a transporter that shares their values and puts their customers first. They need to communicate well, work hard and ensure every Lotus car shipping experience goes as smoothly as possible. 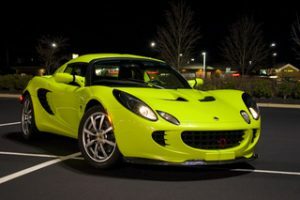 Keep reading for useful tips regarding how to ship your Lotus, shipping cost and why Lotus owners and dealerships nationwide have been choosing us with their car shipping needs since 2006. Of course, if you’re ready to move your Lotus, request a free customized car shipping quote. Or, give us a call at 1 (888) 886-3456 today. Shipping your Lotus should be a pleasant and easy experience. The first step to a positive Lotus car shipping experience is to do your research online. Avoid selecting a transporter solely based on lowest cost. In fact, with many companies in the auto transport industry, the lowest price can lead to unwanted delays and frustration. In reality, the cost to ship a Lotus depends on factors like the time of year, location and type of shipping. For example, open car shipping is less expensive than enclosed, but they each offer pros and cons worth considering. Instead of focusing on the cost to ship your Lotus, we recommend selecting your Lotus car shipping company on the greatest likelihood of a safe, on-time pickup and delivery. The best Lotus auto transporter has a flawless five star reputation among customers. They are a well-established car shipping company, fully licensed and insured. The transporter shares Lotus’s focus on performance, as shown by their outstanding reputation for professionalism and delivering on their promises. In other words, your car shipping company will do what they say they will and deliver your vehicle safely and on-time. At Fisher Shipping, our reputation is one of the few car shipping companies that fall in this elite category. With over 30 years of trust and reliability, we will make every Lotus auto transport move easy for you. Read what our Lotus customers say and then get in touch for your next car move. These guys did a great job transporting my little Lotus basically across the country from the West coast to the East. Pricing was very reasonable considering the distance traveled. Everything went great. They were quick with getting the car here with no problems. Price was worth the peace of mind! Auction to dealer transport: We ship to nearly every auction in the United States. Whether you are purchasing a single unit or need multi vehicle transport, you’ve come to the right place. Dealer to customer transport: We understand that the transport of the vehicle to your customer is a reflection upon you. Let us help you finish the deal the right way. Dealer trades: These time sensitive moves need to happen fast to keep your customer happy. In fact, we will coordinate everything for you. Enclosed vehicle transport available: If you’re shipping a new Lotus or relocating a long distance, you may want to choose covered or enclosed auto transport. In addition to being bonded with the DOT, we are a licensed member of the FMCSA. Insurance matters to us. In addition to having lofty requirements for the trucking companies we partner with, we also carry a $500,000 contingent cargo insurance policy. “First time user I was surprise how easy it was to transport my car very quick delivery time and would definitely use the again.” Rosevelt M.